I recently shared my review of the Silhouette digital cutting tool, if you haven’t read it please go check it out here. In that post I shared my first Silhouette project, an Alice in Wonderland card and now I wanted to share a couple of more projects I made with it. I have a collection of cigar boxes that I like to use for shadow boxes and collages and I had this great wooden box with a hinge and thought it would make a perfect specimen box, reminiscent of the vintage Victorian ones. 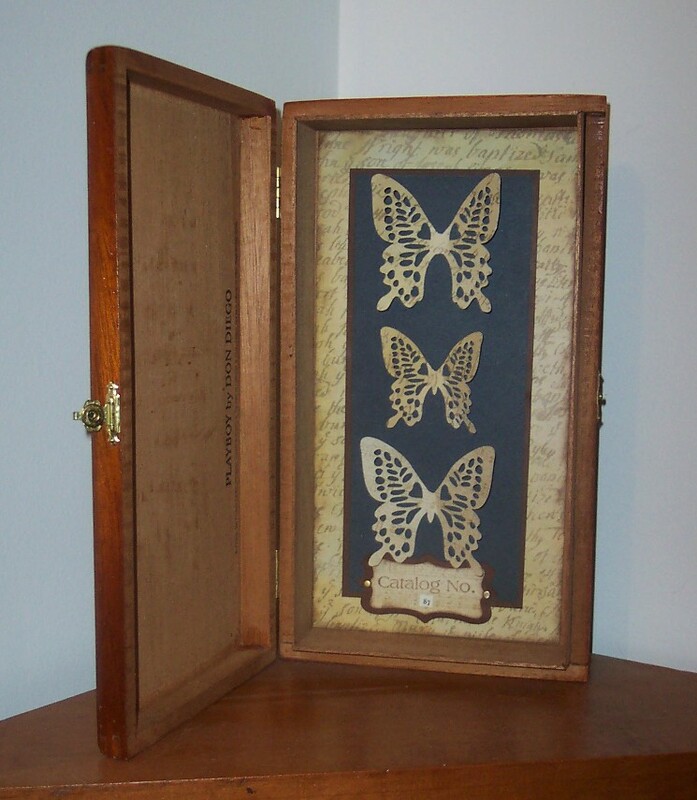 I layered patterned paper and card stocks inside the box and used my Silhouette machine to cut out three butterflies in two different sizes which I then attached to the card stock but just in their centers so the wings lift up a bit. I also cut a label out of matching patterned paper and card stock which I stamped inside and adhered with brads. I love the way it turned out and it was a really quick and simple project. I wanted to “push” the Silhouette and see just how tiny I could cut out an image so I chose a fairly simple image, a deer silhouette and was able to cut it at 1″ x 1/2″! I was so surprised it would cut this tiny but it did! I mounted the deer onto some vintage French book paper and put it inside a pre made pendant frame and hung it from a chain. 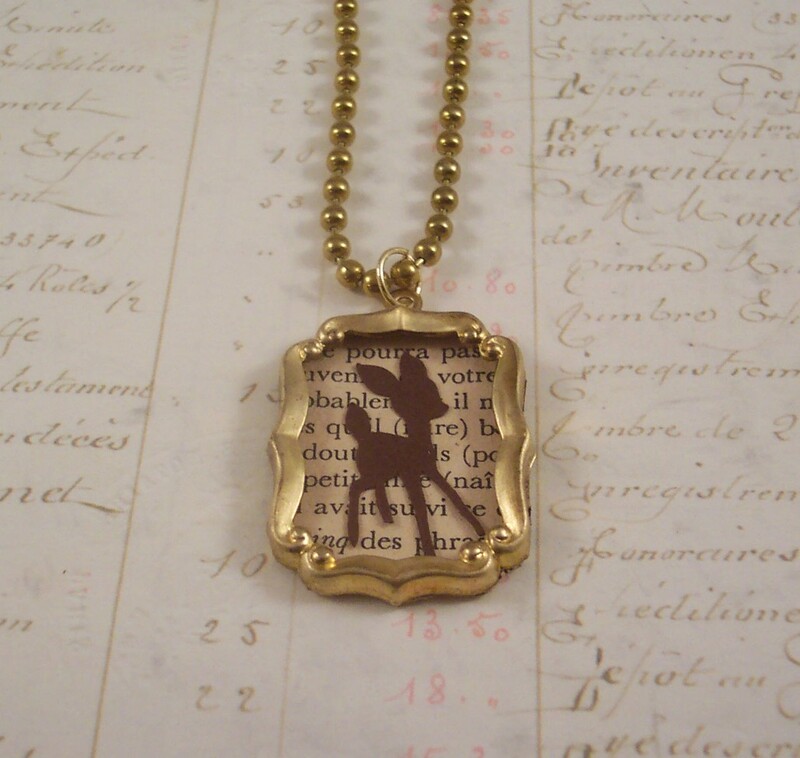 I adore my little deer pendant, isn’t it cute? Want to one a Silhouette Machine? We are giving our Craftgossip.com readers a chance to win a machine simply enter here. I was looking around for information about using a Cricut with polymer clay and ran into your site, which I promptly bookmarked. Your work is incredible here! Very inspiring!